What is an icon? Simply put, an icon is something of quality that has been around for a long time. It's value has stood the test of time. 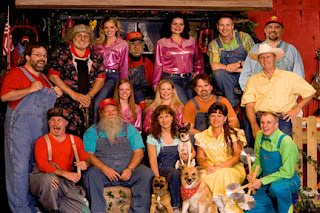 In the comedy field it is very unique to have something become an icon, but that is what the Comedy Barn Theater has done delivering good clean comedy to the millions of people who have visited the Great Smoky Mountains of Tennessee for over 20 years. The big red and yellow barn on the Parkway in Pigeon Forge houses the cast of characters who perform at the Comedy Barn, and the barn itself has also become an iconic structure. It has been in the same location and looked the same since David Fee and Jim Hedrick expanded the building after great success in their first year in 1995. But it's the laughter that has kept the Comedy Barn Theater rocking for over 20 years. 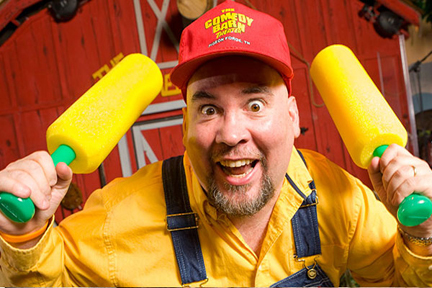 The laughter that the Comedy Barn performers draw out of audiences night after night, show after show. Of course you go into the show expecting to be entertained and to laugh. But the lengths that the performers go to to get you to laugh is amazing. They tell jokes and sing and dance - of course you expect that. But you don't expect audience members to be on stage singing, dancing, telling jokes, becoming human xylophones and entertaining. But it happens. 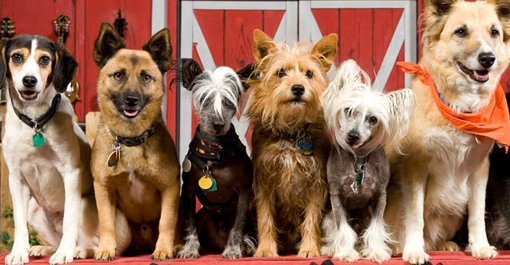 Nor do you expect to see the high level of animal performances that will not only make you laugh out loud, but will amaze you with their abilities to leap, ride and almost fly across the stage. The laughter makes the Barn and it keeps people coming back year after year. 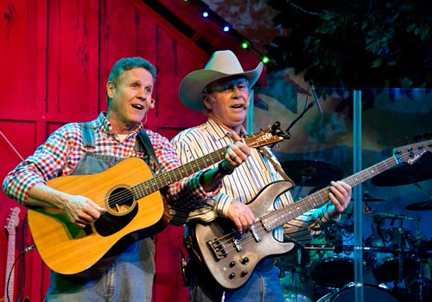 The Comedy Barn Theater is one of many live entertainment venues available during your Smoky Mountain vacation. You can see hillbillies fighting it out at the Hatfield & McCoy Dinner Feud, and you can see sophisticated musical song-and-dance ranging from Broadway to Thriller, all at the Smoky Mountain Opry. Also at the Opry Darren Romeo will amaze you with live feats of magic and grand-scale illusions at his Magic and Beyond show. So come over for a laugh, enjoy a great meal, watch hillbillies entertain and be amazed by magic, all during your Smoky Mountain vacation to Pigeon Forge, Gatlinburg or Sevierville, Tennessee. Get coupons and information for your trip at www.bestreadguidesmokymountains.com/.